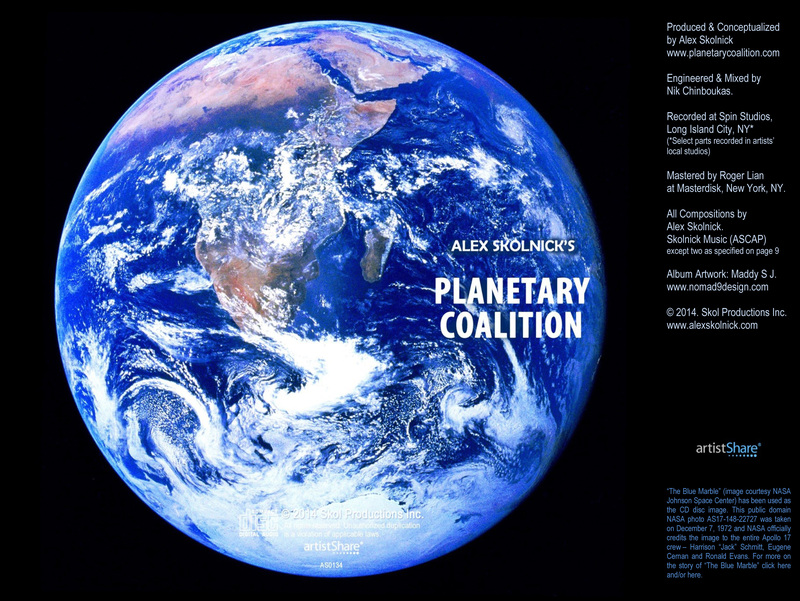 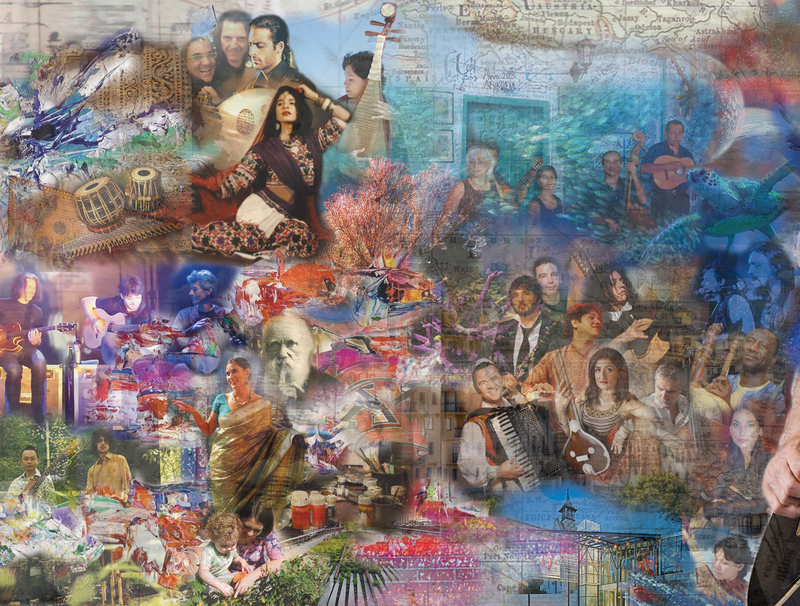 From its inception in Union Square on summer solstice day, June 21st, 2012 – Planetary Coalition has now grown into a truly global music project. 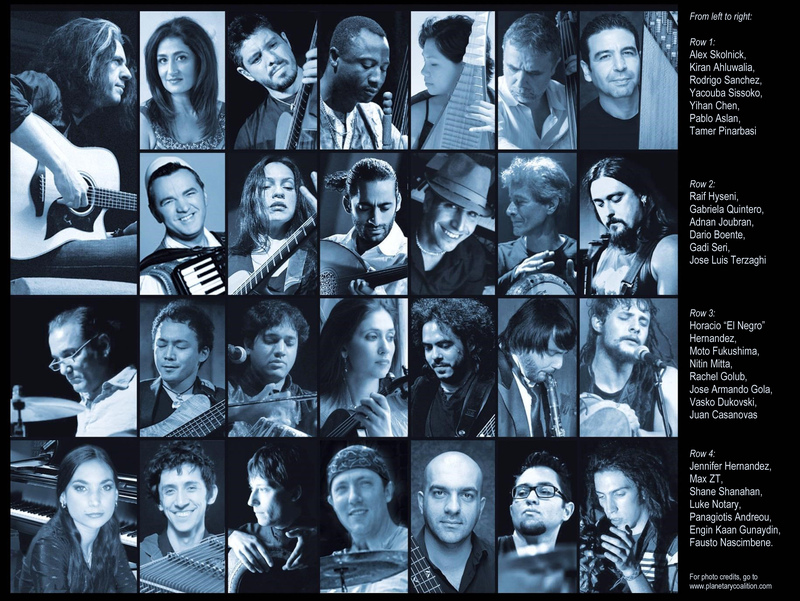 Our CD was released on 11/11/2014. 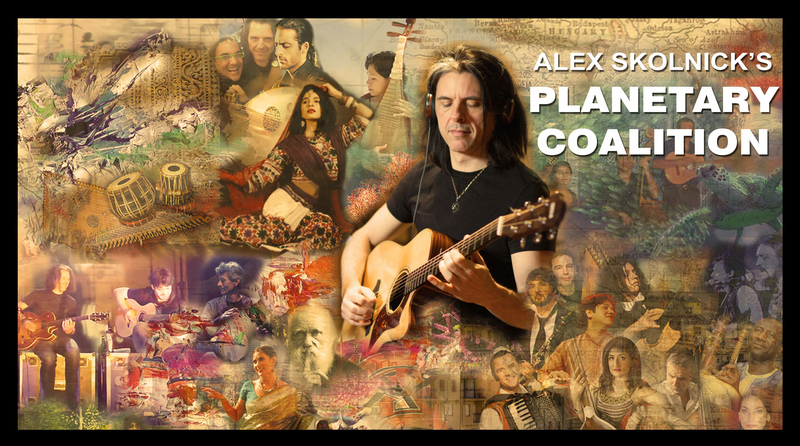 An ethnically flavored collective of diverse musicians from all over the world, Planetary Coalition is driven by the acoustic guitar of Alex Skolnick, whose work spans jazz (Alex Skolnick Trio), metal (Testament, Metal Allegiance), and world music (Rodrigo y Gabriela).